If you have a vehicle and a clean driving record, this is usually the point in your life when you will first see your car insurance premiums begin to decrease. The longer you drive safely, as well as depending on your vehicle and the state in which you live, these premiums should continue to lower over time. If you’ve been on your parent’s insurance until this point, it’s time to start researching your other options. Does your employer offer benefits or will you need to shop the market? Coverage from your parent’s plan will end the last day of your birth month of your 26th year. This is the age at which you can begin ‘catch up’ contributions to your retirement account. Up until this point, you’ve been capped at $18,000 per year. Once you hit 50, you can contribute an additional $6,000 totaling $24,000. Take advantage of this, especially if you haven’t been contributing as much as possible leading up to this point. 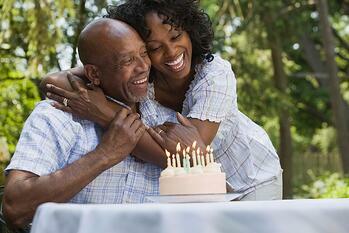 After turning 62 years old, you can begin collecting social security benefits. However, if you delay until 66 or 67, you will receive more benefits than if you choose to collect early. If you are confused about how best to maximize your benefits, reach out to an expert for assistance. Once you turn 65 years old, you are eligible to start receiving Medicare coverage. You will automatically be enrolled into Medicare if you are already receiving social security benefits. If you decided to delay these benefits, you will have to enroll yourself. This is the age at which point you have maxed out your social security benefits. Every year you delay after turning 62 (until turning 70), your benefits will increase by about 8%.